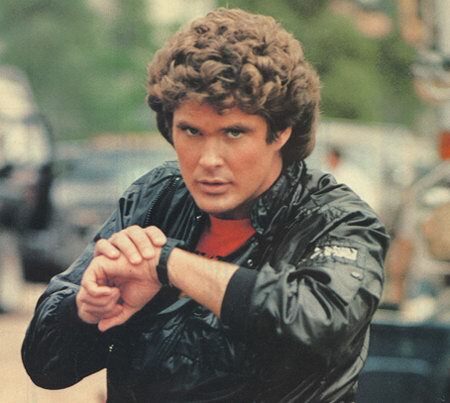 Here I want to deepen how we can use two of such functions in order to get more from our super smartwatch! 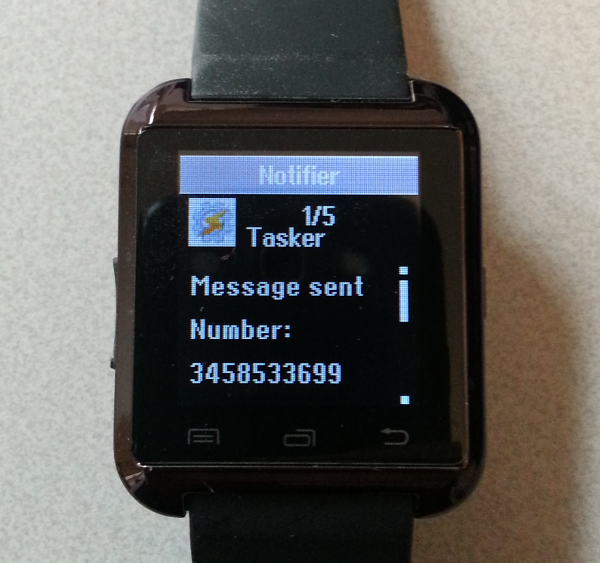 So what if we can control such phone notifications in order to stream to the watch exactly what we want to? I can imagine some nice use cases here. By the way, which application lets you write custom notification messages? Of course Tasker is one of those. And it happens that I've tasker already installed and in use in my phone for other reasons. 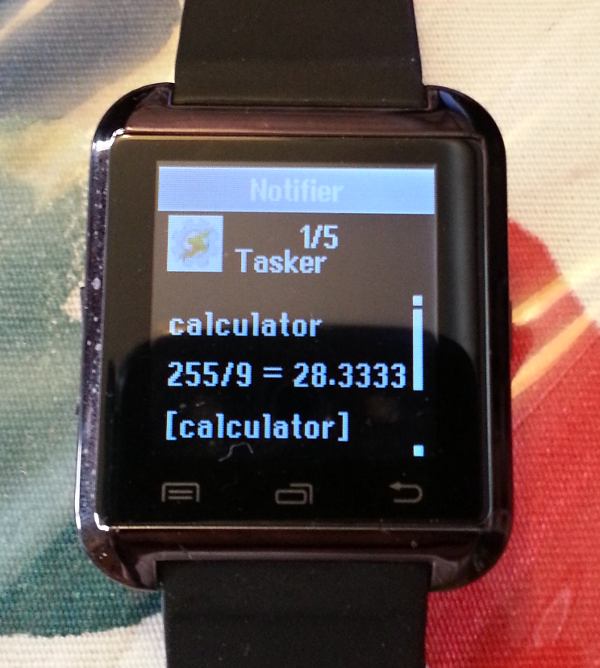 That's pretty nice, we can control an output of our watch directly from tasker, or in other words, we can control an output of our watch when some event occurs, when some tasker's profile gets fired. So for example we could get the entire body of the last email received and stream it to the watch, notify the battery status and so on. is there a way to fire a tasker event directly from the watch? Can the watch say something to the phone? Can the watch push to the phone and not only the phone push to the watch? The answer my friend is yes, a sort of. What stands a telephone for? Calls. is there any watch functionality which accept a somewhat custom input from the user? You got it? The dialer. You can call the number you desire from your watch, and it turns out that tasker can listen for an outcoming call and run a task when it happens. So at this point you've surely understand the trick. We have an infinite number of commands availables from our dialer. When doing a call, a task is called. Here we can check the called number which stays inside a tasker variable, and if it equals to some custom value then we can perform actions. In this way we can control our phone through the watch, just create actions and bind them to call numbers, then dial such numbers from your watch or better create some phonebook profiles, so you can set also a brief description of the command. You don't know such thing, but I'm the lead developer of an italian weather site which manages a collections of amateur weather stations and collects, elaborates and displays data to the user. I was able with such method to create a "send me the realtime data of my station" in 5 minutes. I've created a phonebook profile, named "0 - fetch from MyStation", with phone number "11". use a bit of js to transform such json in an object and create some weather variables from the object: temperature, pressure, relative humudity, rain rate. Use the tasker notify function to show a message displaying the values of such variables. Now when I call the number 11 from my watch, I suddendly receive a notification with the realtime data measured by the weather station, without the need to do anything else. Moreover such notification displays itself alone, as all notification do, with no further watch interaction. If you want to get some forecast information on your watch, you can make it fire a tasker task which fetches forecast data for example from this site: http://openweathermap.org/api, elaborates it and notifies it to the watch. I've created a task which gets the tomorrow forecasts for Turin, with descriptive info, max and min temperature and notifies them. Such task is fired when I dial the number 12 from my watch. Then I've saved a new phonebook profile called "0 - Tomorrow Forecast", when I call it from my watch I receive the tomorrow forecasts for Turin directly in my watch. Please consider it as a demo code, it works, but can be highly improved, you can for example check the mobile data status, and enable it in case it is disabled, you can search for a location using geocoordinates taken from your gps, and many other things, just start from here.